George and Barbara Bush, Billy Graham and Aretha Franklin were among the luminaries who passed away in 2018. Every death leaves an echo, a memory, a ledger of glories, regrets and sometimes, if the life is lived well enough, lessons for what is to come. The future, after all, has many architects, and they don’t always agree. Especially when it comes to matters of faith. 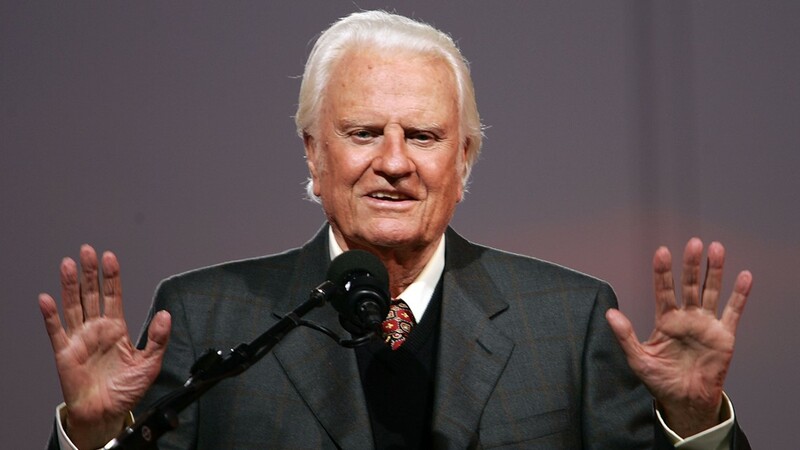 Evangelist Billy Graham delivers his message at the Billy Graham Crusade at Flushing Meadows Park 24 June 2005 in Flushing Meadows, New York. Whether in music, thoughts or prayer, many such world-builders left us in 2018, each carving new paths for their families, professions or the world. And because of extended lifespans, the deaths brought back histories well beyond the recall of the youngest today. 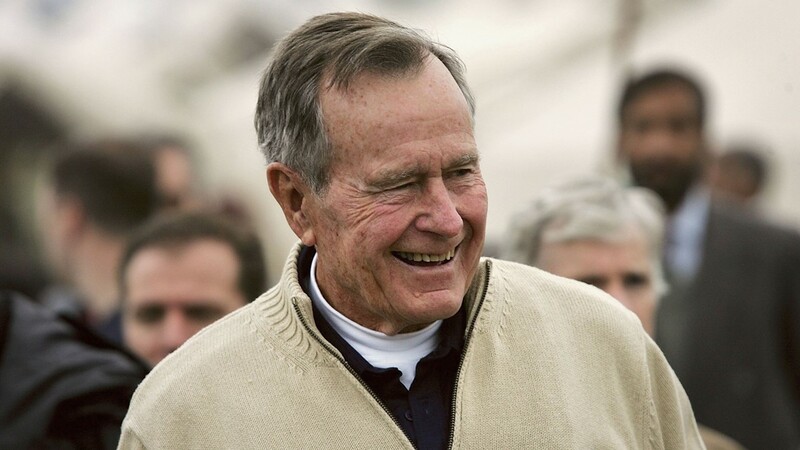 Just this month, five days of remembrances retold the story of George H.W. Bush, 94, the World War II hero and Cold War president who saw the Berlin Wall fall, stared down a Middle East dictator and spent his final decades jumping out of airplanes just for the thrill of it. 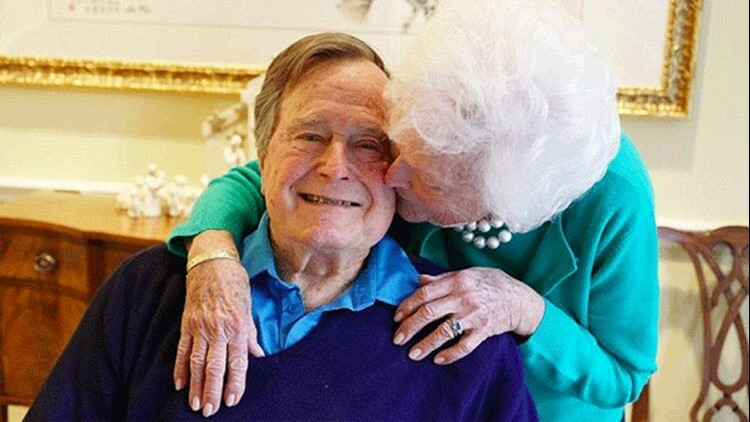 His wife of 73 years, Barbara, 92, who died in Houston eight months earlier, spent a lifetime of summers presiding over a brood of Bush politicians on the chilly coast of Maine. George H.W. 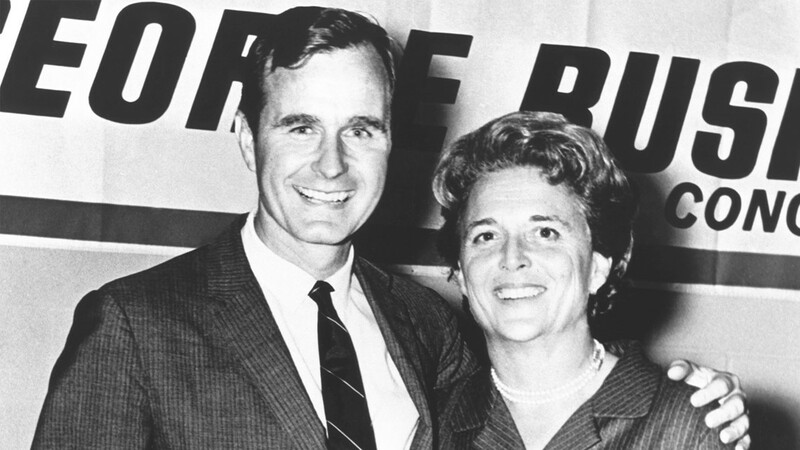 Bush poses with his wife Barbara during his campaign for Congress in the 1960's. Penny Marshall presents Rosie O'Donnell the Lucy Award at Women In Film's Crystal and Lucy Awards at the Century Plaza Hotel, Los Angeles, Ca. Friday, Sept. 20, 2002. 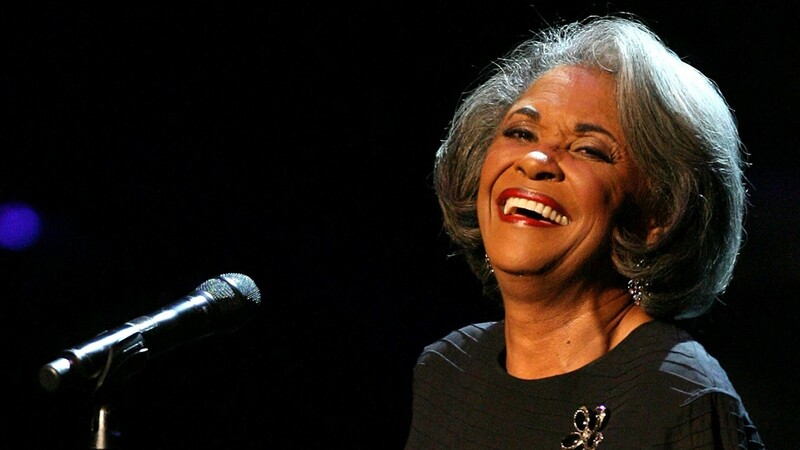 Recording artisit Nancy Wilson performs during the Thelonious Monk Jazz Tribute Concert For Herbie Hancock at the Kodak Theatre on October 28, 2007 in Los Angeles, California. Former U.S. President George Bush visits a tent camp for earthquake survivors on the outskirts of Islamabad on January 17, 2006 in Pakistan. Gloria Katz attends The Academy Of Motion Picture Arts And Sciences' Oscars Outdoors Screening Of 'American Graffiti' on August 2, 2013 in Hollywood, California. 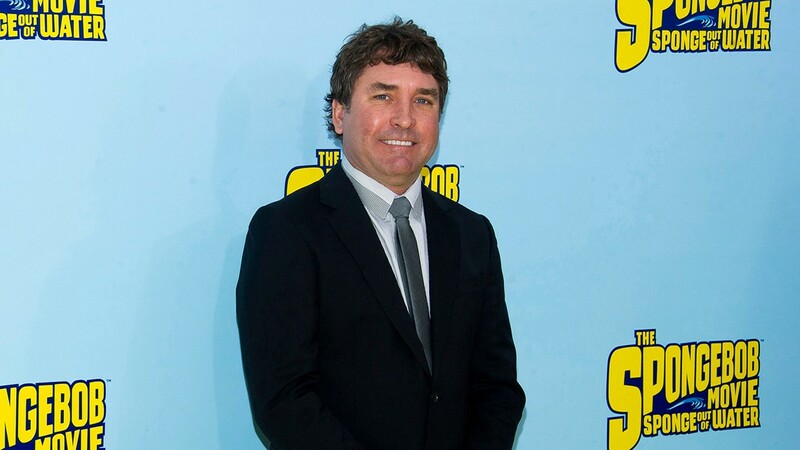 In this Jan. 31, 2015 file photo, SpongeBob SquarePants creator Stephen Hillenburg attends the world premiere of "The SpongeBob Movie: Sponge Out Of Water" in New York. 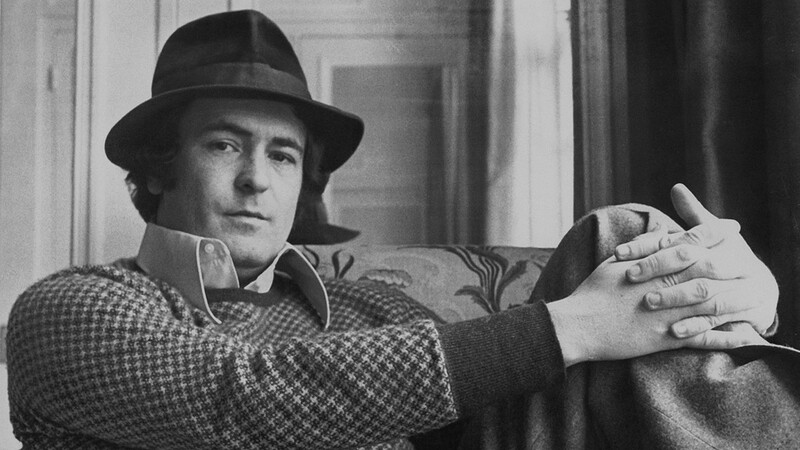 Italian film director Bernardo Bertolucci in London for the premiere of his film 'Last Tango in Paris' the next day, 14th March 1973. 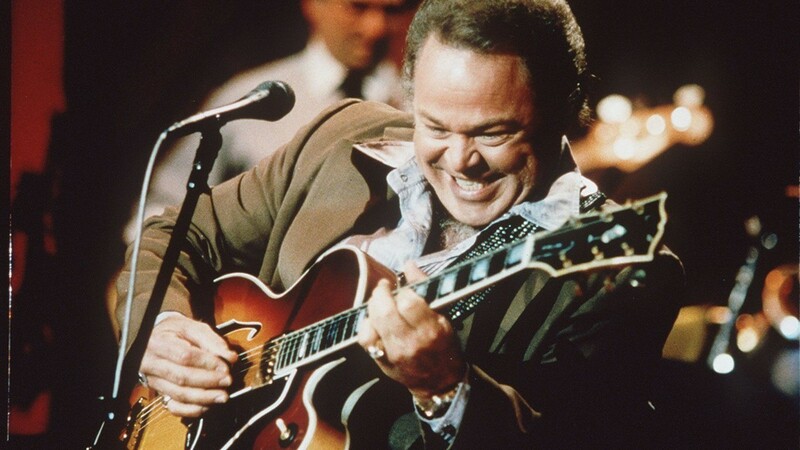 US country musician Roy Clark with his guitar circa 1973. Comic book legend Stan Lee poses at the opening reception for ''Stan Lee: A Retrospective'' presented by the Museum of Comic and Cartoon Art on February 23, 2007 in New York City. 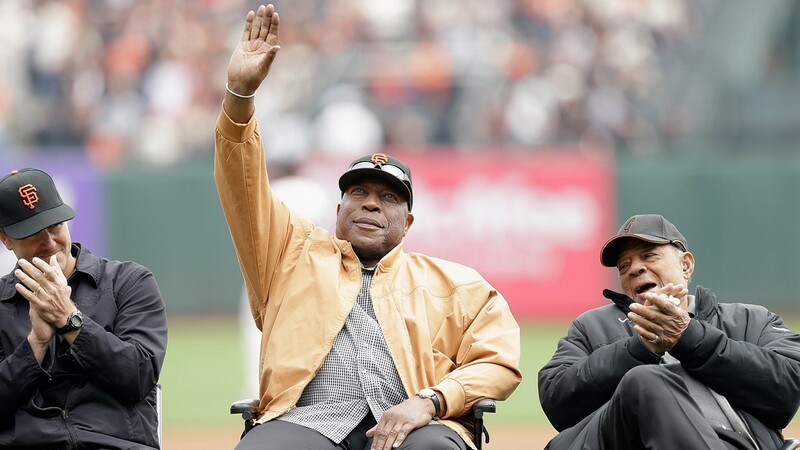 San Francisco Giants legend Willie McCovey waves to the crowd during a ceremony at AT&T Park on April 6, 2013 in San Francisco, California. 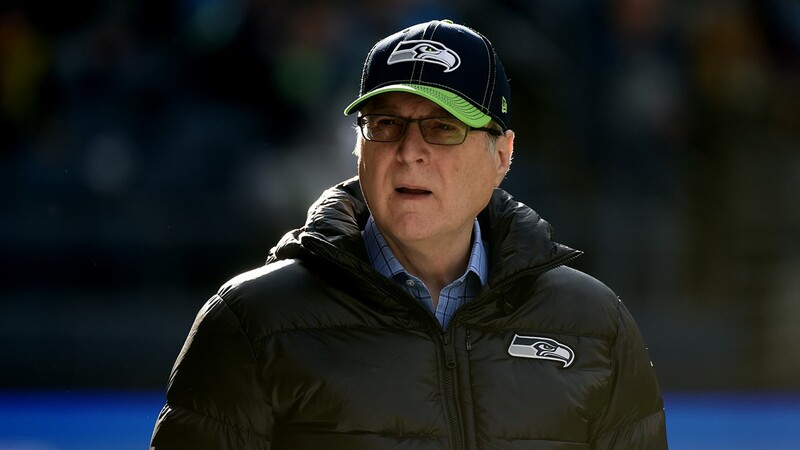 Seattle Seahawks owner Paul Allen walks on the field prior to their game against the Arizona Cardinals at CenturyLink Field on November 23, 2014 in Seattle, Washington. 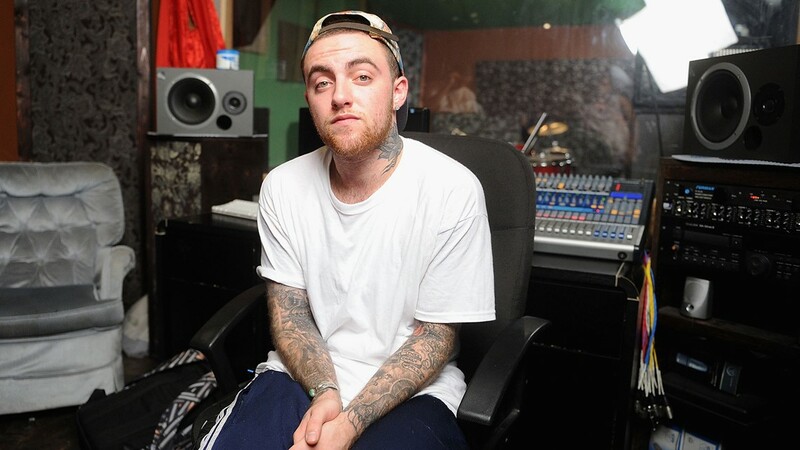 Mac Miller performs during Behind The Scenes With MAC Miller Filming Music Choice's 'Take Back Your Music' Campaign at Music Choice on July 17, 2013 in New York City. 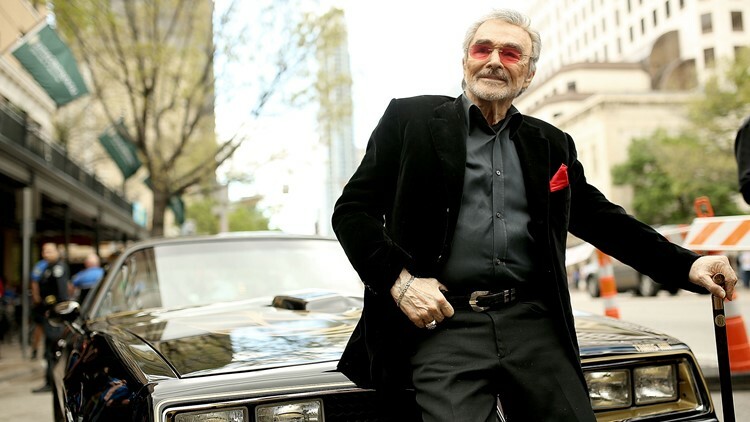 Actor Burt Reynolds attends the screening of 'The Bandit' during the 2016 SXSW Music, Film + Interactive Festival at Paramount Theatre on March 12, 2016 in Austin, Texas. 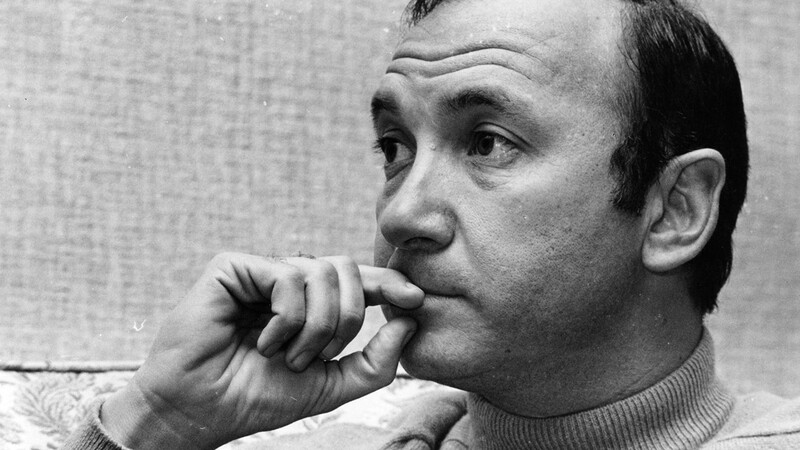 American playwright Neil Simon is seen on February 11, 1969. Republican presidential candidate John McCain pauses while addressing a campaign event at the Freedom Hill Ampitheatre in Sterling Heights, Michigan on September 5, 2008. 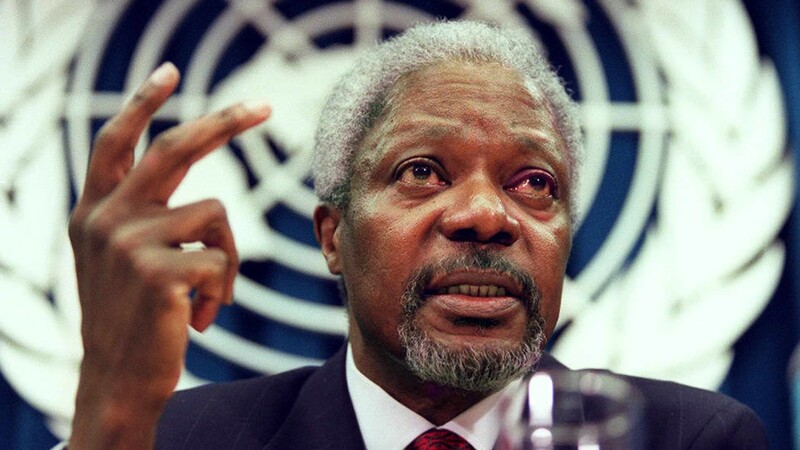 United Nations Secretary General Kofi Annan addresses a press conference February 13, 1997 at UN headquarters in New York. 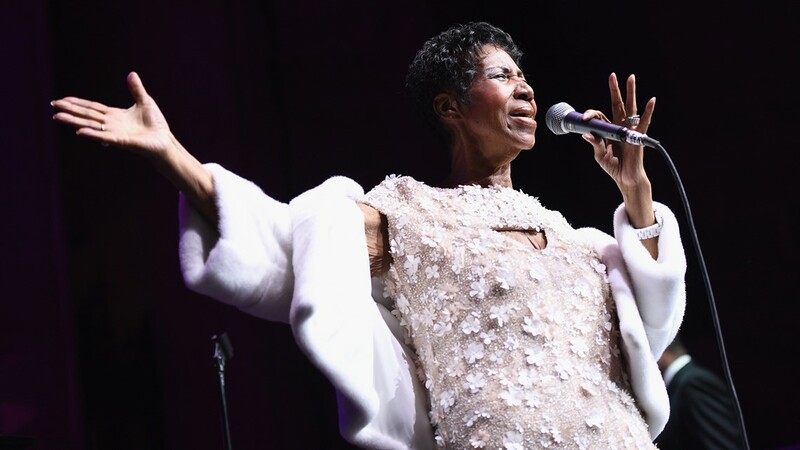 Aretha Franklin performs onstage at the Elton John AIDS Foundation Commemorates Its 25th Year And Honors Founder Sir Elton John During New York Fall Gala at Cathedral of St. John the Divine on November 7, 2017 in New York City. 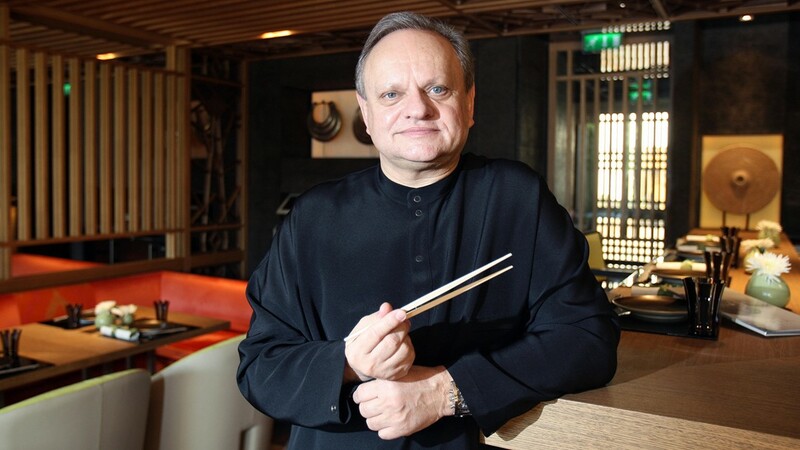 French chef Joel Robuchon, the world's most starred Chef with a total of 24 stars in the French Michelin 2008 Guide poses on December 29, 2008 in Monaco. 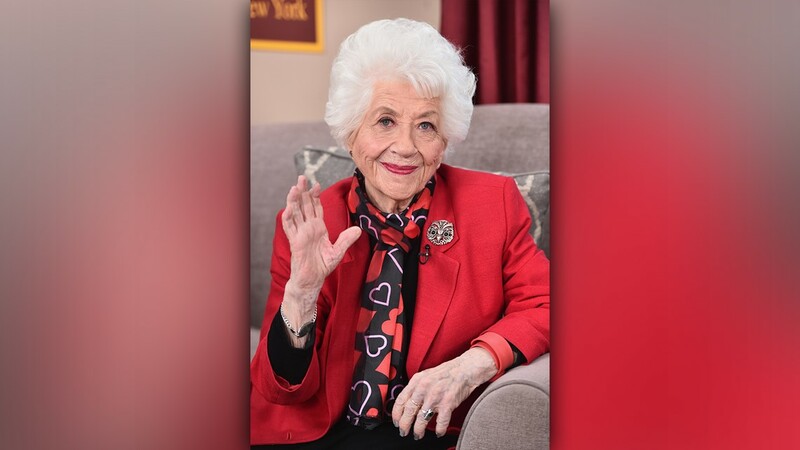 Actress Charlotte Rae attends Hallmark's Home and Family 'Facts Of Life Reunion' at Universal Studios Backlot on February 12, 2016 in Universal City, California. 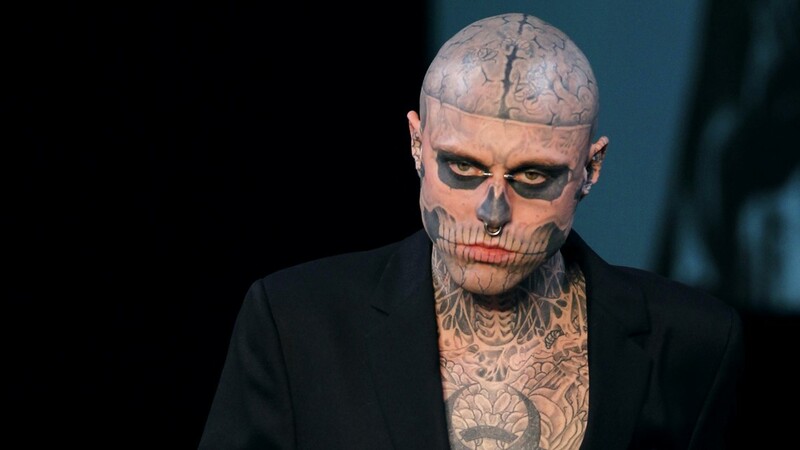 Canadian model Rick Genest aka Zombie boy presents a creation by French designer Thierry Mugler during the Men's fall-winter 2011-2012 ready-to-wear collection show on January 19, 2011 in Paris. 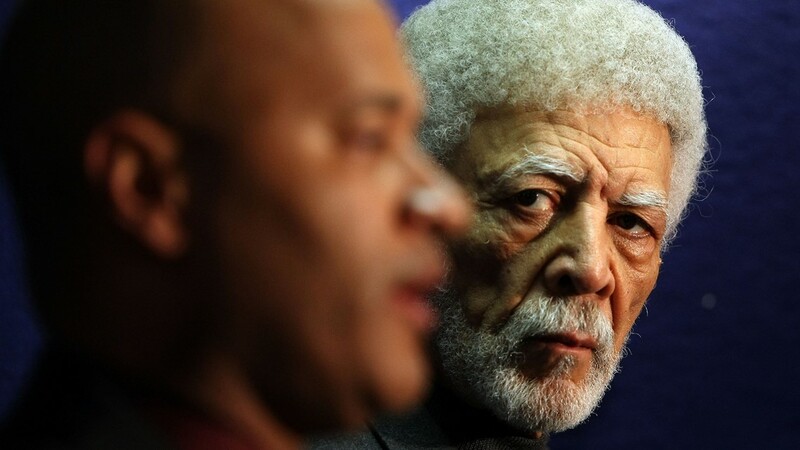 Oakland Mayor Ron Dellums (R) looks on as interim Oakland Police Chief Howard Jordan (L) speaks during a press conference announcing the shooting deaths of three Oakland police officers March 21, 2009 in Oakland, California. 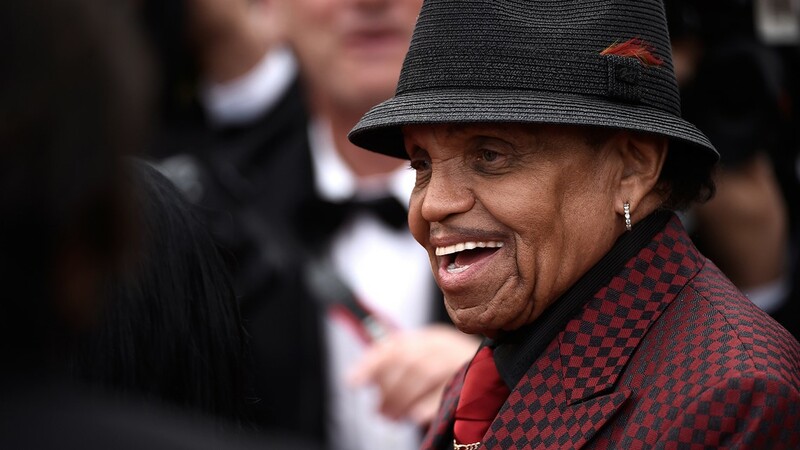 Joe Jackson attends the Premiere of 'Sicario' during the 68th annual Cannes Film Festival on May 19, 2015 in Cannes, France. 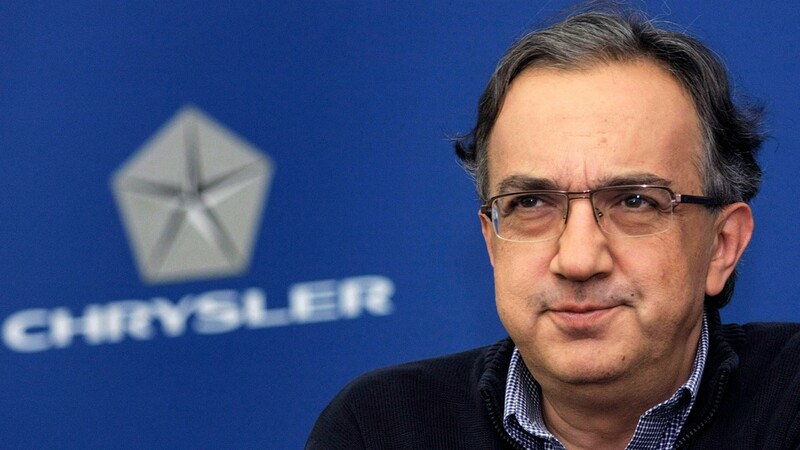 Chrysler CEO Sergio Marchionne attends a press conference at Chrysler headquarters October 1, 2009 in Auburn Hills, Michigan. 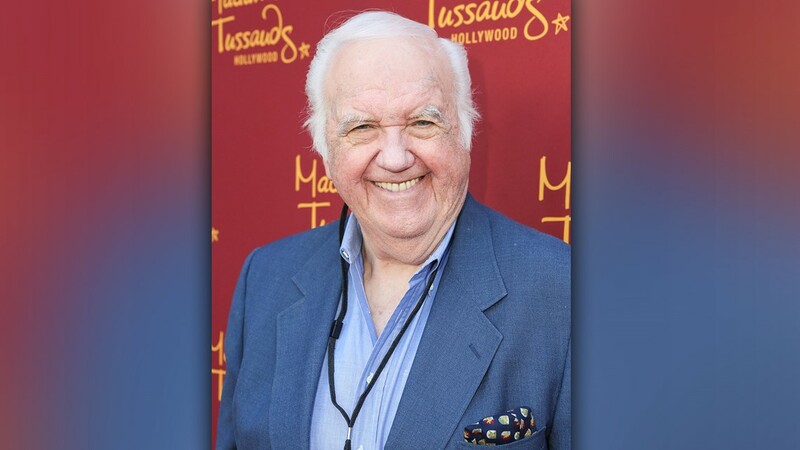 Actor Chuck McCann attends Madame Tussauds Hollywood grand opening party for the all new MARVEL 4D Theater Experience on July 10, 2014 in Hollywood, California. 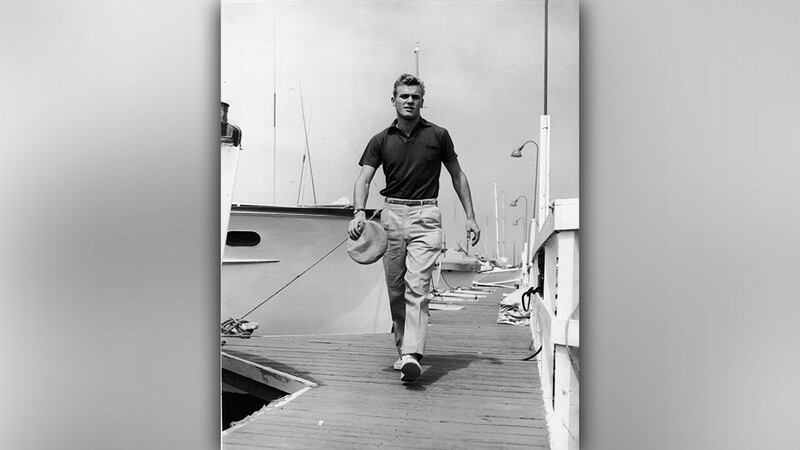 American actor Tab Hunter walks down a dock carrying a hat with several docked boats visible in the background, circa 1955. 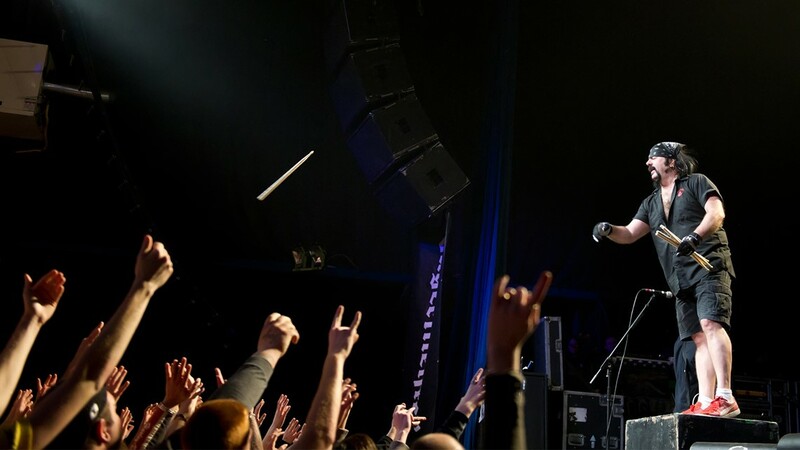 Vinnie Paul of Hellyeah performs during the Jagermeister Music Tour at The Electric Factory on February 19, 2011 in Philadelphia, Pennsylvania. 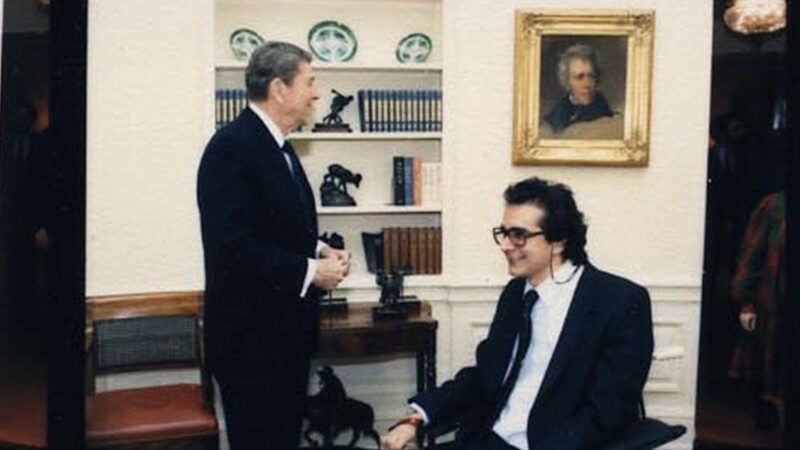 Journalist Charles Krauthammer at the White House, meeting President Ronald Reagan on March 21, 1986. 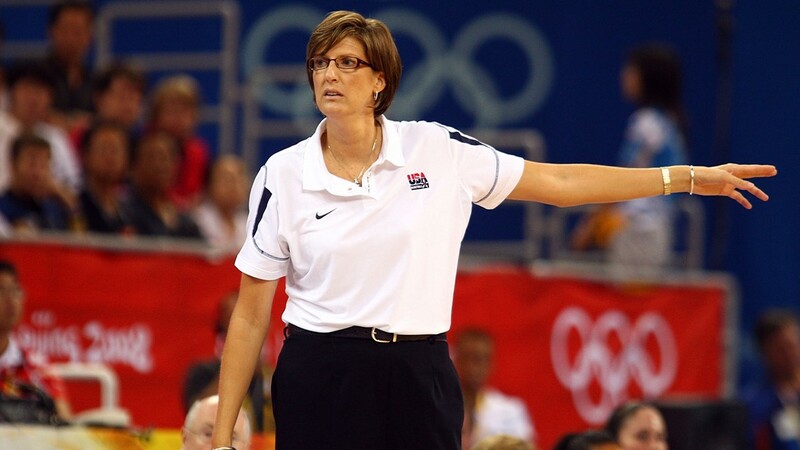 Head coach Anne Donovan of the United States points while taking on the Czech Republic during day 1 of the Beijing 2008 Olympic Games on August 9, 2008 in Beijing, China. 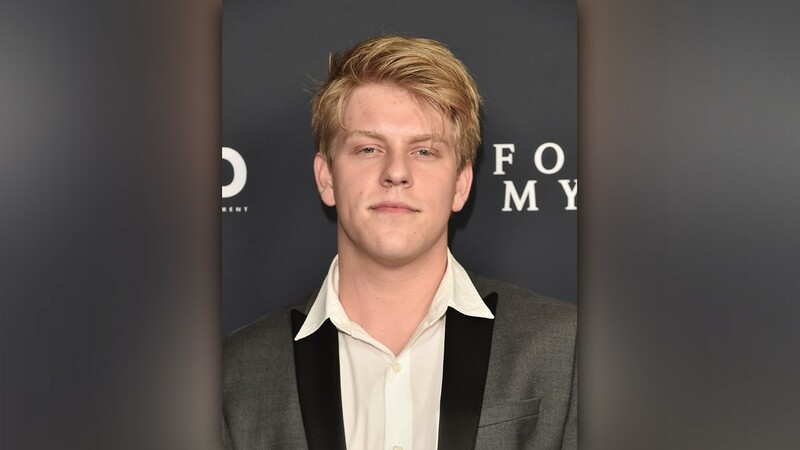 Songwriter Jackson Odell attends the premiere of Roadside Attractions' 'Forever My Girl' at The London West Hollywood on January 16, 2018 in West Hollywood, California. 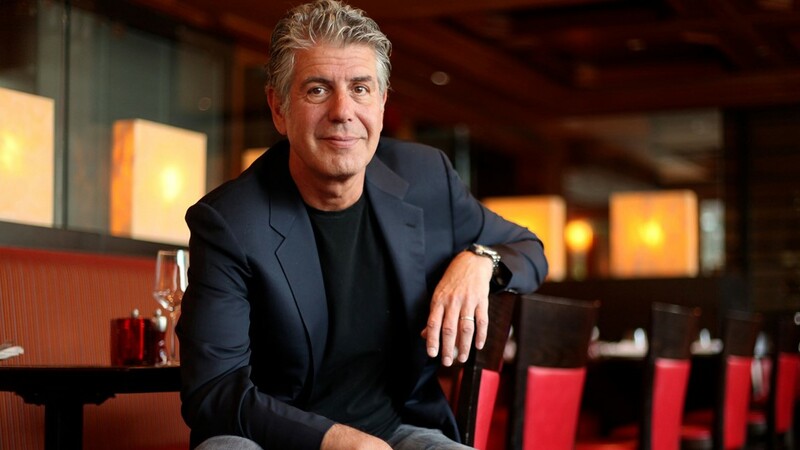 Anthony Bourdain left the bulk of his $1.2 million estate to his young daughter, Ariane. 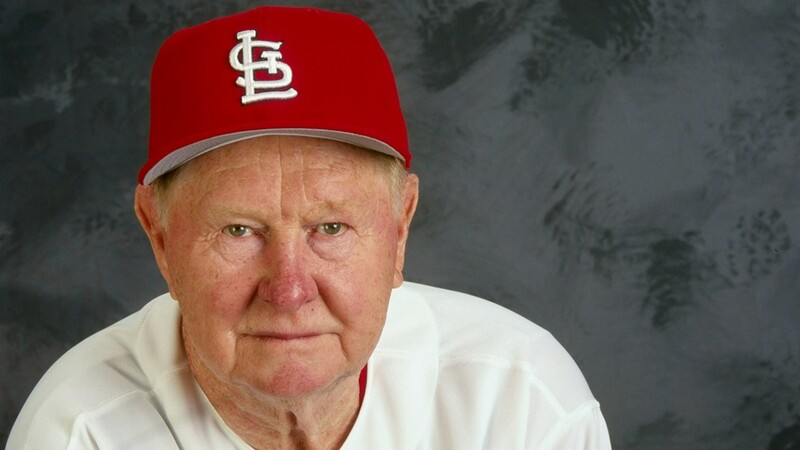 Red Schoendienst #2 of the St. Louis Cardinals poses for a studio portrait on February 28, 1999 during Spring Training at the Roger Dean Stadium in Jupiter, Florida. 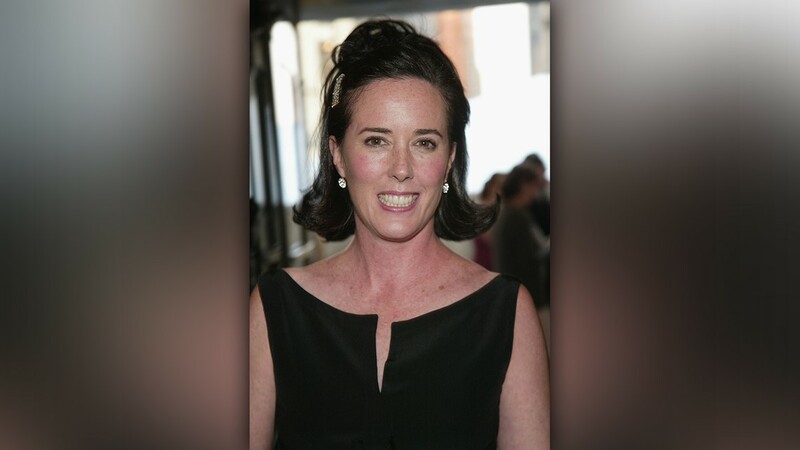 Designer Kate Spade attends the '2004 CFDA Fashion Awards' at the New York Public Library June 7, 2004 in New York City. 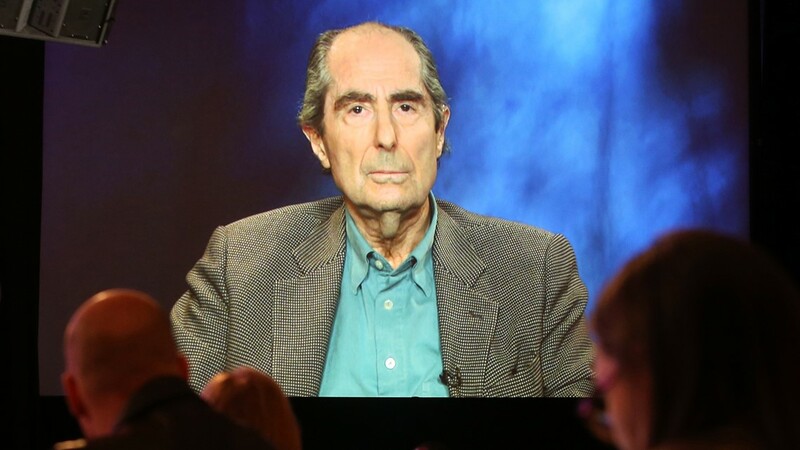 An image of author Philip Roth is projected onscreen as he speaks via satellite video feed to the audience during the PBS panel of 'AMERICAN MASTERS Philip Roth: Unmasked' on January 14, 2013 in Pasadena, California. 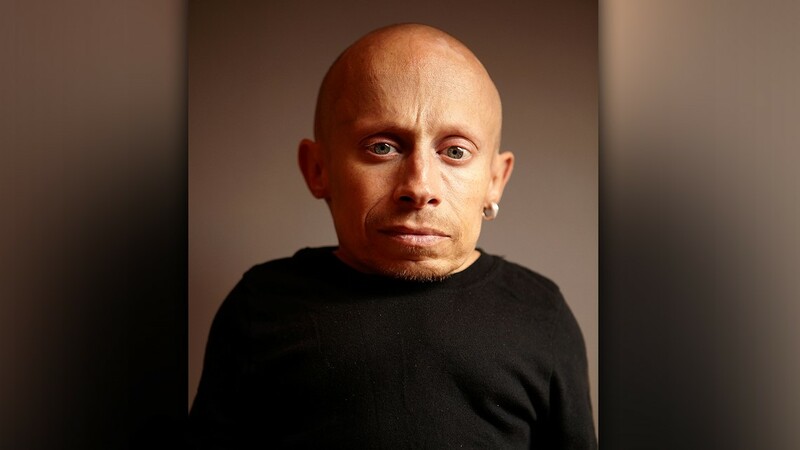 Actor Verne Troyer from the film 'The Imaginarium Of Doctor Parnassus' poses for a portrait during the 2009 Toronto International Film Festival at The Sutton Place Hotel on September 16, 2009 in Toronto, Canada. 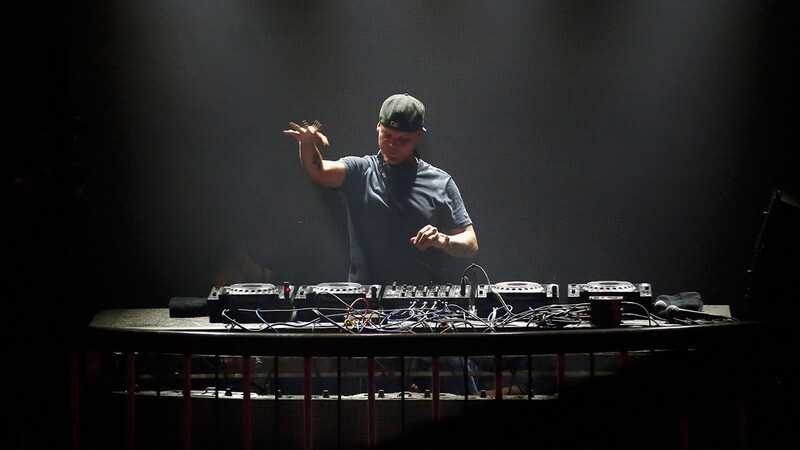 DJ Avicii performs onstage during Rolling Stone Live SF with Talent Resources on February 7, 2016 in San Francisco, California. 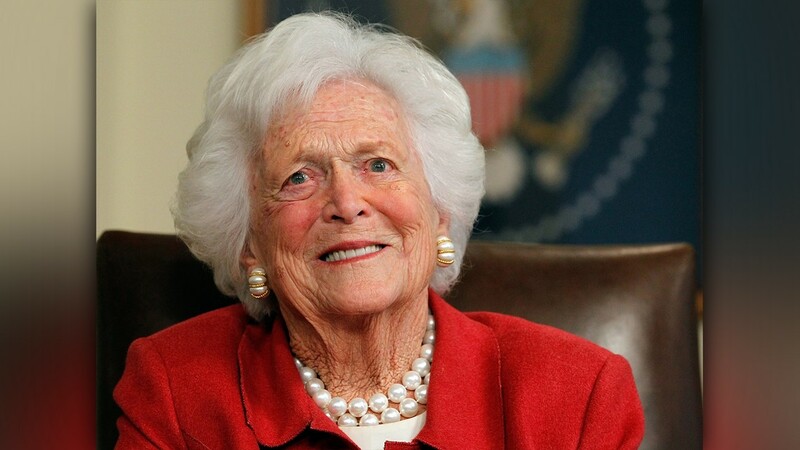 Barbara Bush talks with Mitt Romney at Former President George H. W. Bush's office on March 29, 2012 in Houston, Texas. 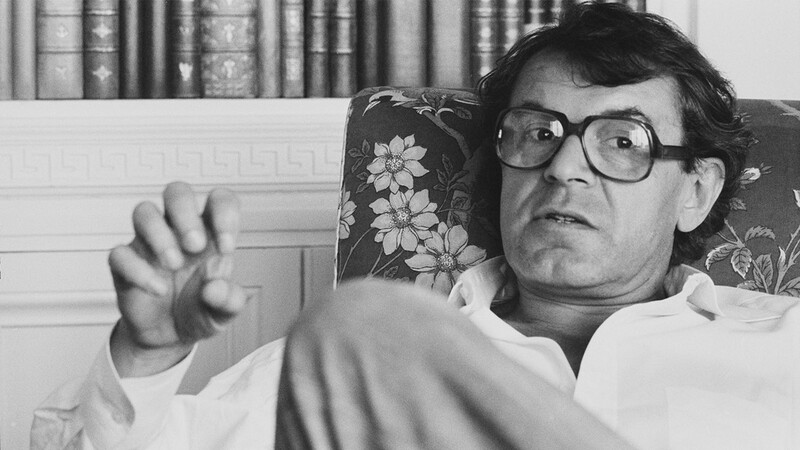 Czech American film director, screenwriter, actor and professor Milos Forman on July 25, 1979. 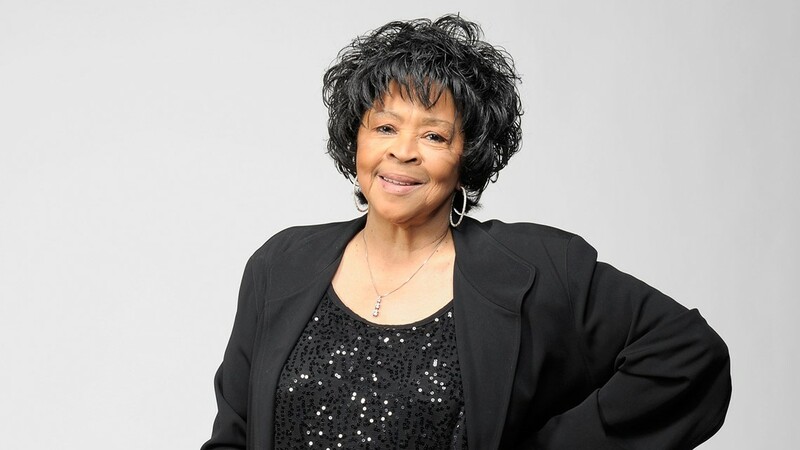 Singer Yvonne Staples poses for a portrait at the 42nd NAACP Image Awards held at The Shrine Auditorium on March 4, 2011 in Los Angeles, California. 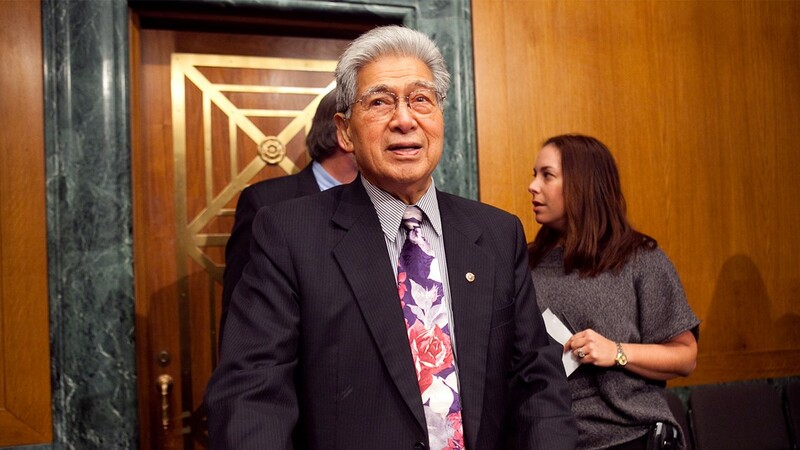 Sen. Daniel Akaka (D-HI), chairman of the Committee on Veterans' Affairs, awaits the start of the confirmation hearing for Gen. Eric Shinseki to head the Department of Veterans Affairs on January 14, 2009 in Washington, DC. 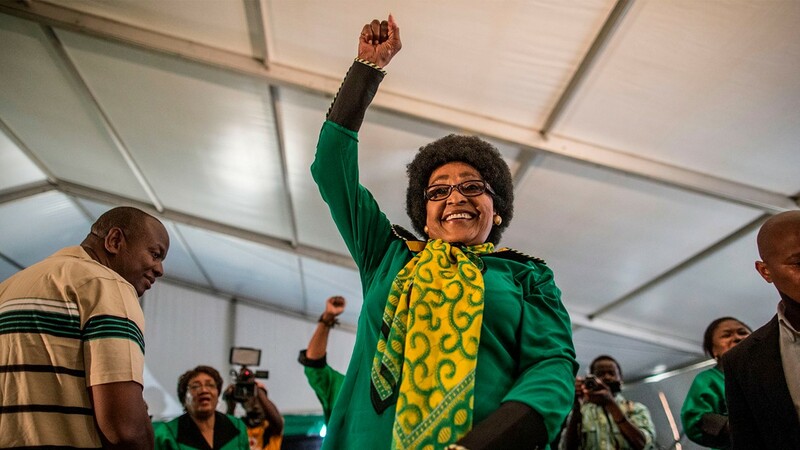 Africa National Congress stalwart Winnie Madikizela Mandela raises her fist in her signature move as she acknowledges a crowd of ANC Women League supporters gathered in Soweto on September 26, 2016 to celebrate her 80th birthday. 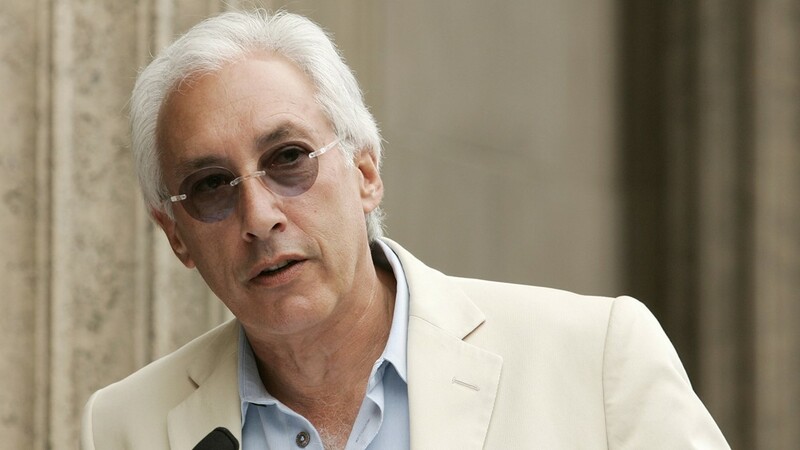 Writer/producer Steven Bochco speaks at the ceremony honoring television producer David Milch with a star on the Hollywood Walk of Fame on June 8, 2006 in front of the El Capitan Theatre in Hollywood, California. 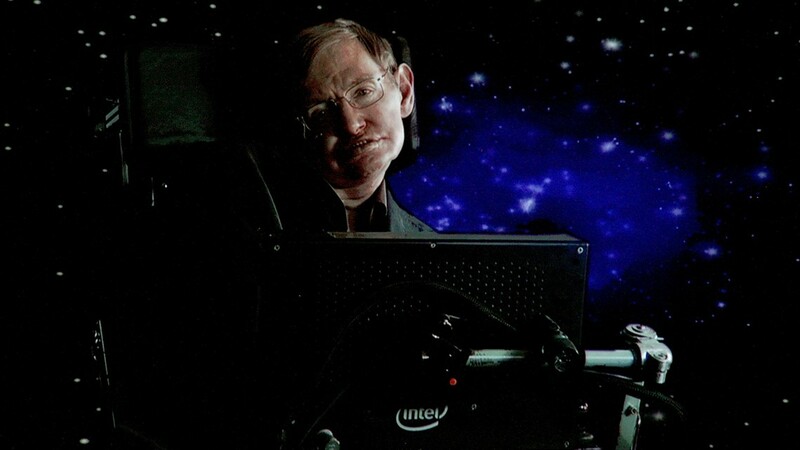 Scientist Stephen Hawking of 'Into The Universe With Stephen Hawking' speaks via satellite during the Science Channel portion of the 2010 Television Critics Association Press Tour at the Langham Hotel on January 14, 2010 in Pasadena, California. Former New York Mets players Rusty Staub waves to the fans at home plate after the game against the Florida Marlins to commemorate the last regular season baseball game ever played in Shea Stadium on September 28, 2008. Rev. 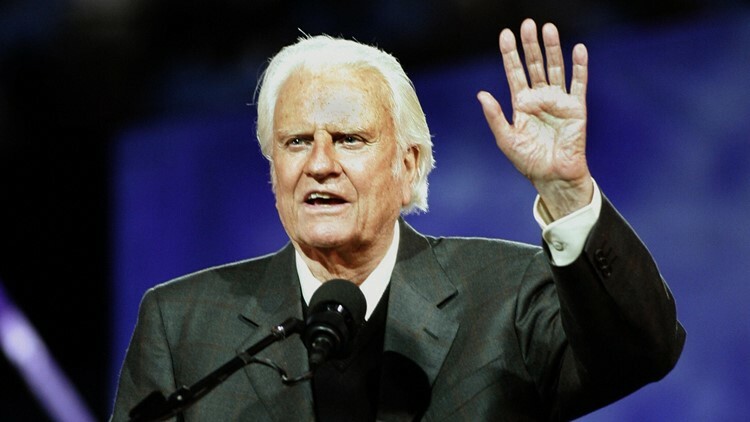 Billy Graham speaks during his Crusade at Flushing Meadows Corona Park June 24, 2005 in the Queens borough of New York. 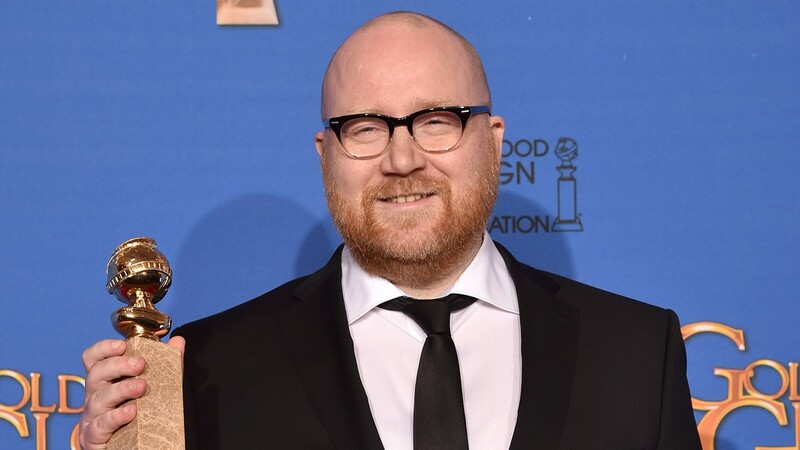 Composer Johann Johannsson, winner of Best Original Score for 'The Theory of Everything,' poses in the press room during the 72nd Annual Golden Globe Awards at The Beverly Hilton Hotel on January 11, 2015 in Beverly Hills, California. 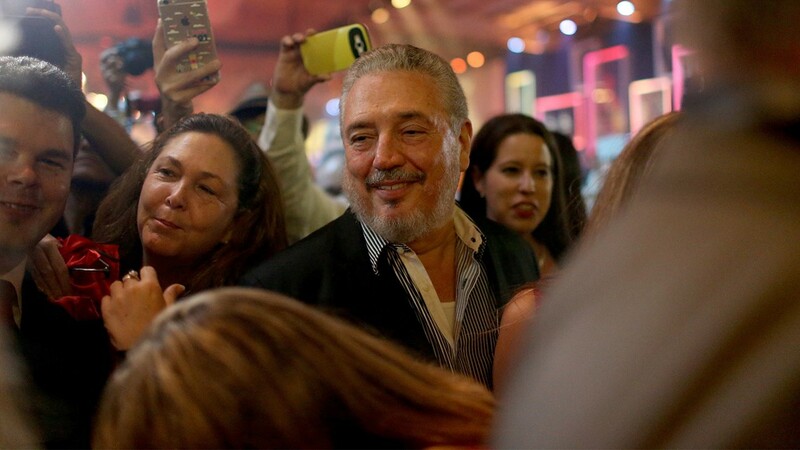 Fidel 'Fidelito' Castro Diaz-Balart, son of Cuban revoloutionary leader Fidel Castro, attends the closing gala night for the week-long International Habano Cigar Festival on February 27, 2015 in Havana, Cuba. 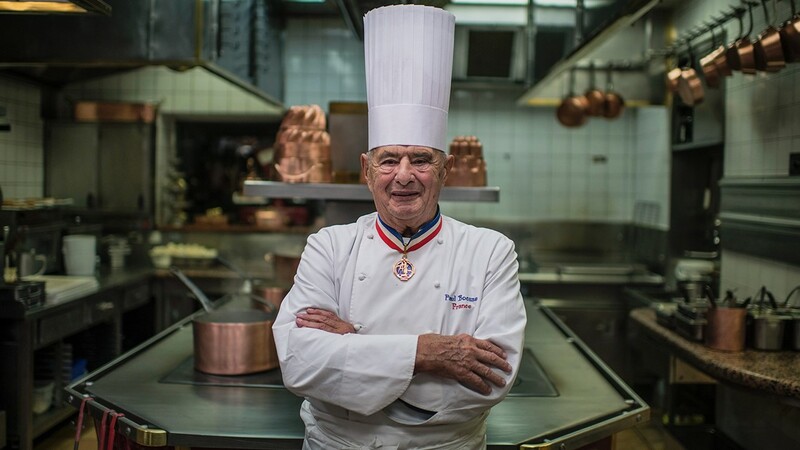 French chef Paul Bocuse, at Collonges au Mont d'Or, works in l'Aubergede Pont de Collonges kitchen, during a culinary work shop, on November 09, 2012, in Mont d'Or. 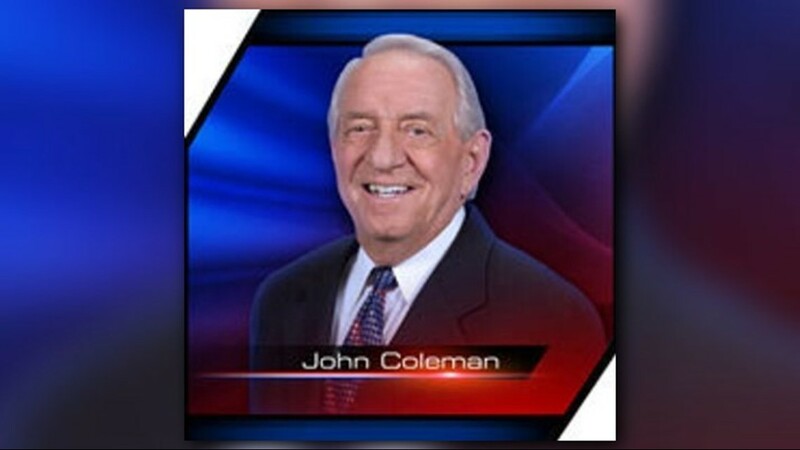 Coleman died Saturday night at home in Las Vegas. 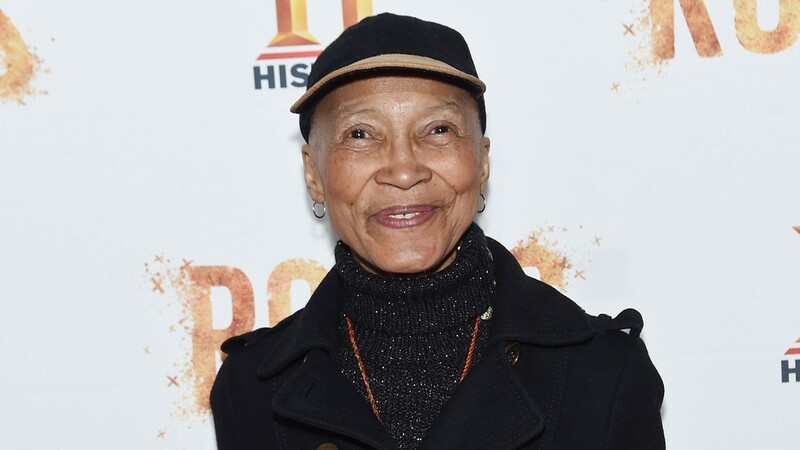 Olivia Cole attends the 'Roots' night one screening at Alice Tully Hall, Lincoln Center on May 23, 2016 in New York City. Dorothy Malone, the Hollywood film actress, circa 1943 who later starred in the popular television series 'Peyton Place'. 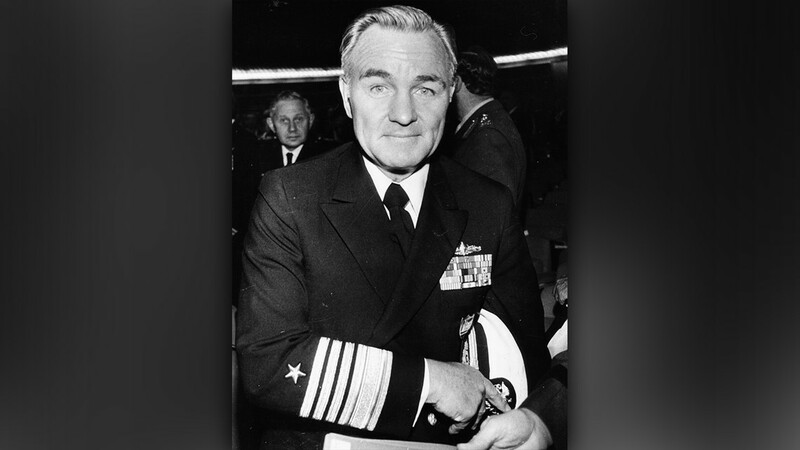 Admiral Stansfield Turner, new Director of the US Central Intelligence Agency, pictured in uniform in Rome, March 1977. 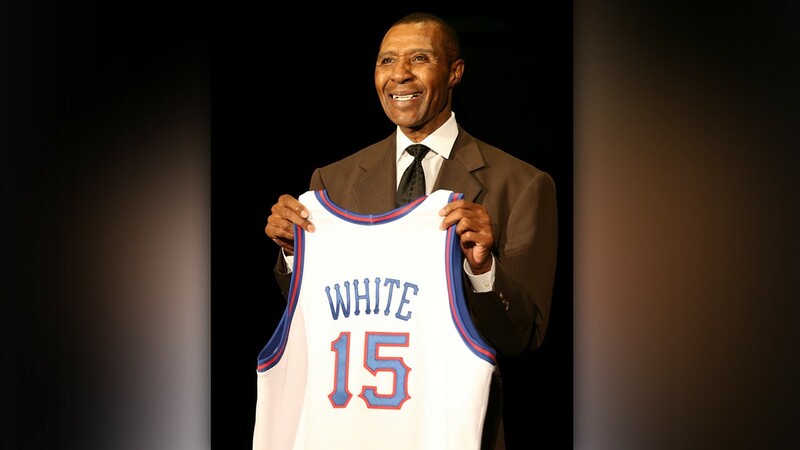 Jo Jo White stands during the Naismith Memorial Basketball Hall Of Fame 2014 Class Announcement at the JW Marriott on April 6, 2015 in Indianapolis, Indiana. 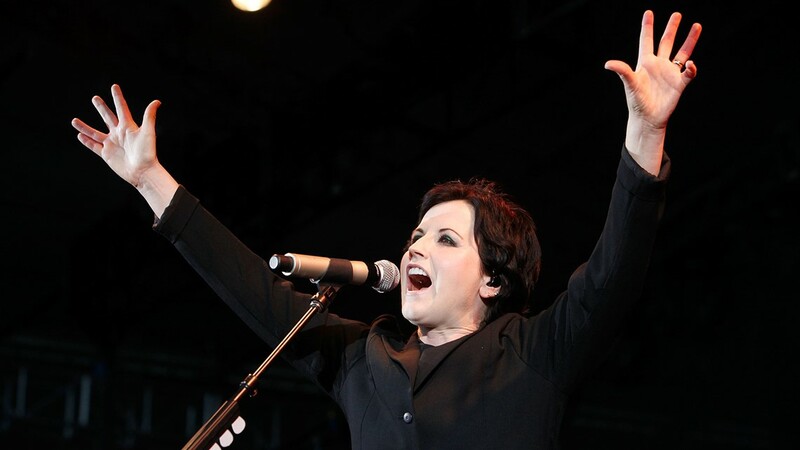 Dolores O'Riordan from The Cranberries performs during F1 Rocks! Melbourne at Sidney Myer Music Bowl on March 17, 2012 in Melbourne, Australia. 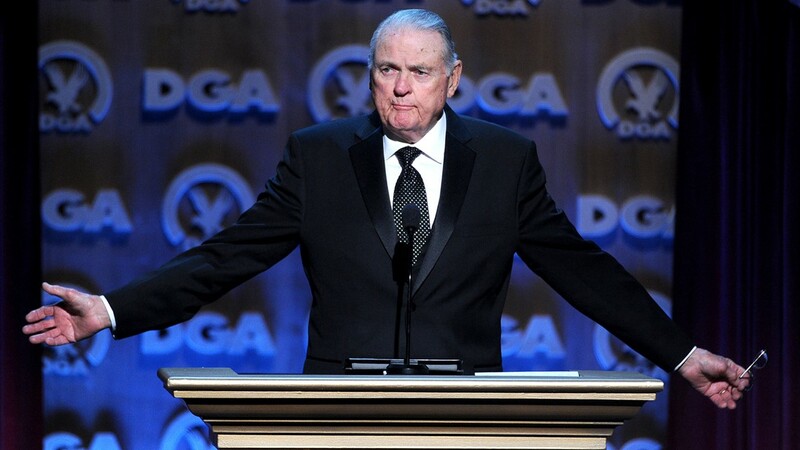 Sportscaster Keith Jackson speaks onstage at the 66th Annual Directors Guild Of America Awards held at the Hyatt Regency Century Plaza on January 25, 2014 in Century City, California. 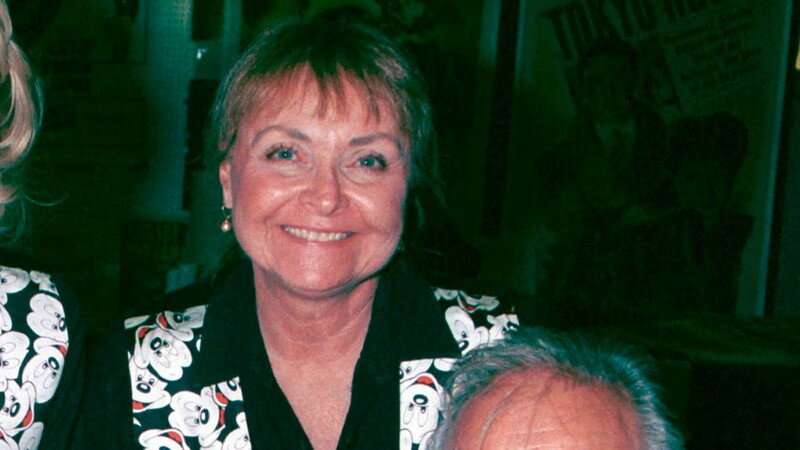 Mouseketeers Doreen Tracey from 'The Mickey Mouse Club' attends the Hollywood Collectors & Celebrities Show June 23, 2001 at Beverly Garland''s Holiday Inn in North Hollywood, CA. 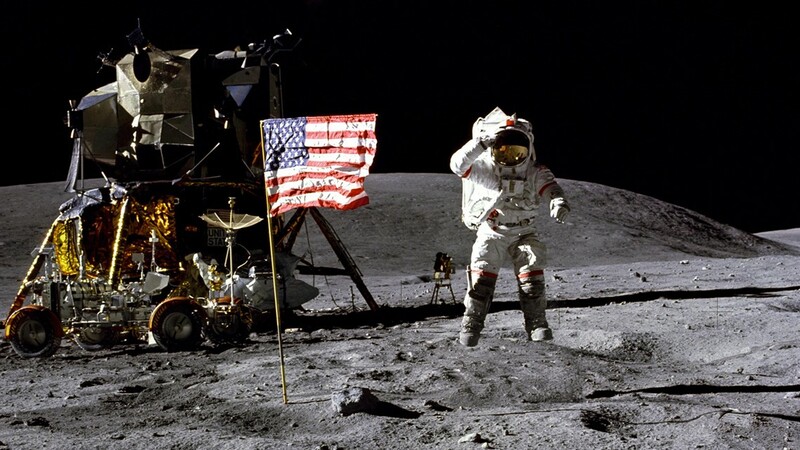 John Young on the Moon, with the Lunar Module and Lunar Rover in the background. 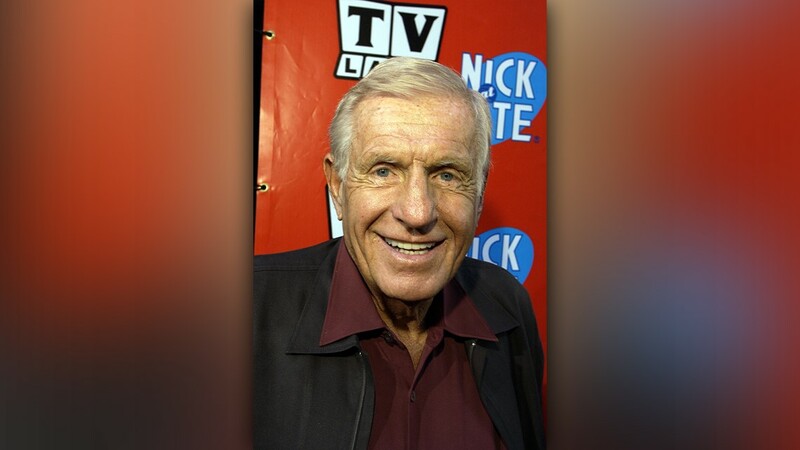 "Jerry Van Dyke ,'Coach', at the TV Land and Nick at Nite Upfront in 'The Bat Cave' on Broadway in New York City on April 24, 2002. 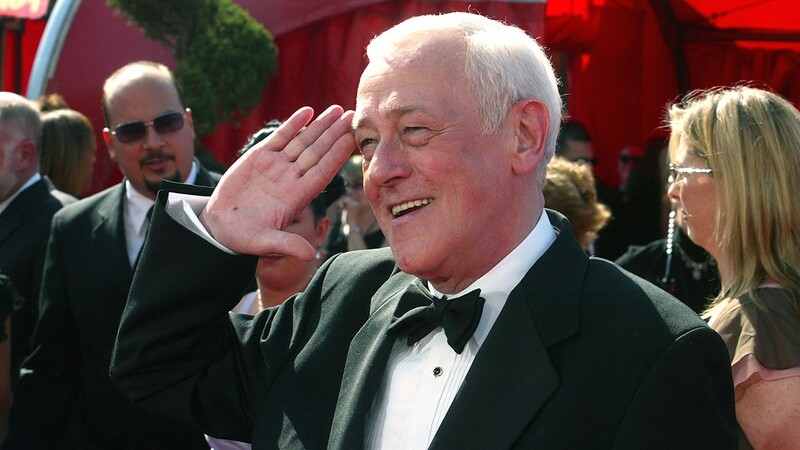 Actor John Mahoney attends the 55th Annual Primetime Emmy Awards at the Shrine Auditorium September 21, 2003 in Los Angeles, California. 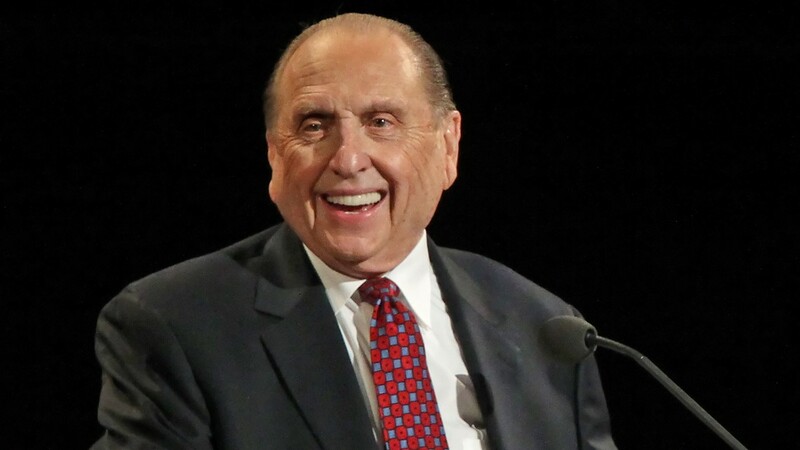 President of the Church of Jesus Christ of Latter-Day Saints Thomas Monson gives the opening talk at the 180th Annual General Conference of the church April 3, 2010 in Salt Lake City, Utah. 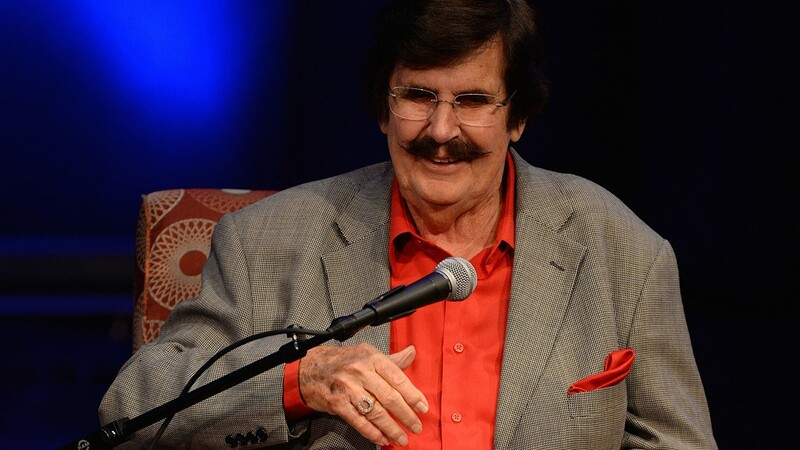 Producer Rick Hall speaks at 'The Man From Muscle Shoals: Rick Hall in Conversation with Peter Guralnick' at Country Music Hall of Fame and Museum on April 18, 2015 in Nashville, Tennessee. 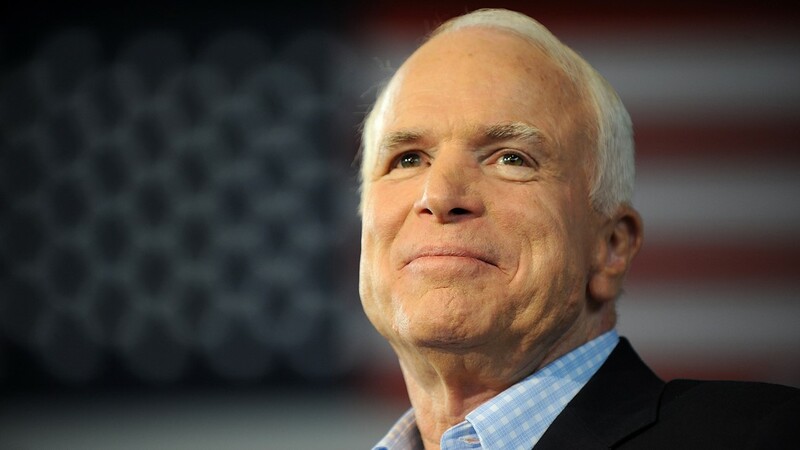 The funeral of another war hero and presidential hopeful, John McCain, 81, recalled his imprisonment in North Vietnam and a legacy of political courage that often defied party lines. Others on the world stage were former U.N. secretary-general Kofi Annan, 80, and South African activist Winnie Mandela, 81, their fights for tolerance still not done. 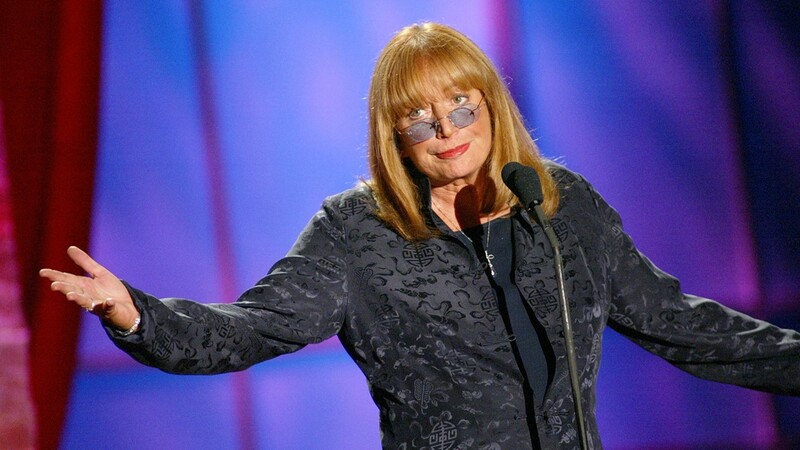 The entertainment world lost stars such as Penny Marshall, 75, co-star of "Laverne & Shirley" and one of the top-grossing female directors in Hollywood with such cherished hits as "Big" and "A League of Their Own." Beyond Aretha Franklin, the music world lost amiable country legend and Hee Haw host Roy Clark, 85; smooth jazz vocalist Nancy Wilson, 81; Vic Damone, 89, one of the original crooners of the 1940s; Jefferson Airplane founder Marty Balin, 76, who went from chanting “gotta revolution,’’ to smoother fare; Chicago blues master Otis Rush, 83; Tony Joe White, 75, who wrote “Rainy Night in Georgia;” jazz trumpeter Hugh Masakela, 78; choreographer Paul Taylor, 88, credited with modernizing dance; France’s most popular singer, Charles Aznavour, 94; and D.J. Fontana, 87, drummer for no less than Elvis Presley. Also: the now politically incorrect macho man Burt Reynolds, 82; 1950s heartthrob Tab Hunter, 86; and a batch of familiar sitcom regulars such as Charlotte Rae, 92 ("Facts of Life"), Ken Berry, 85 ("F Troop"), Jerry Van Dyke, 86 ("Coach"), David Ogden Stiers, 75 ("M*A*S*H") and Bill Daily, 91 ("I Dream of Jeannie and The Bob Newhart Show"). 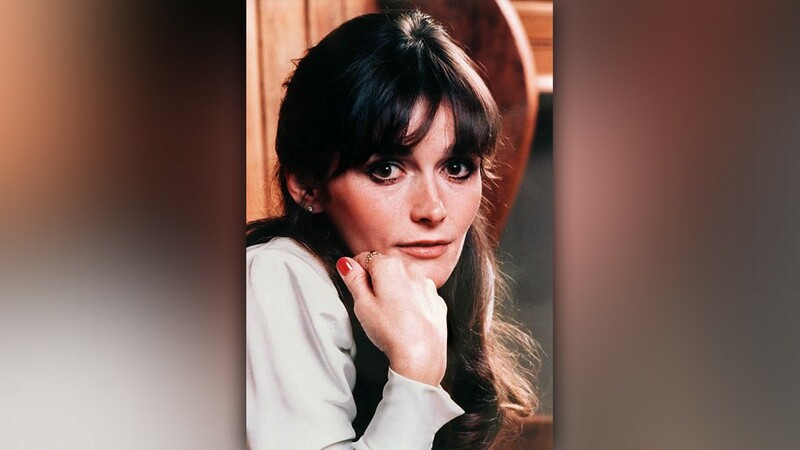 When Superman made his leap to the big screen 40 years ago, Margot Kidder memorably introduced a wisecracking Lois Lane. 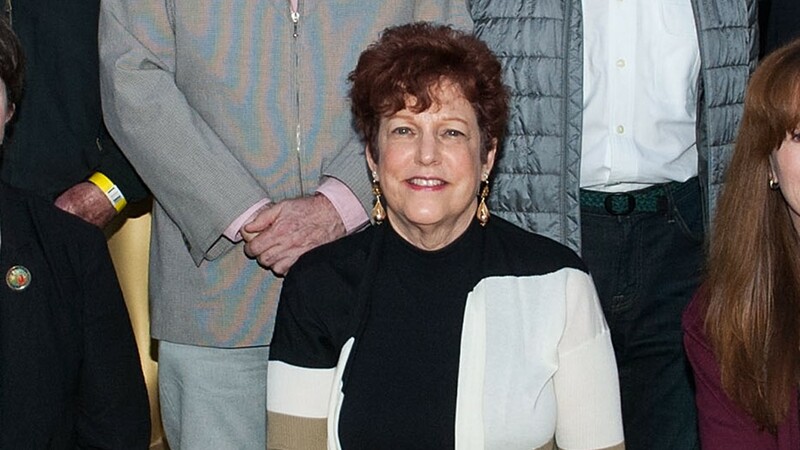 Later hobbled by mental illness, her death in May at age 69 was ruled a suicide. Character actor Scott Wilson, 76, went from playing criminals in 1967’s "In the Heat of the Night" and "In Cold Blood" to the beloved but doomed patriarch on "The Walking Dead;" wrestling superstar Bruno Sammartino, 82, at one point held the heavyweight championship for 11 years; the 2’8” Verne Troyer of “Mini-Me” fame, 49, is now a recurring meme; and Frank Sinatra’s first wife Nancy Sinatra Sr., mother of his three children, died at 101 (oh, what stories she could tell). 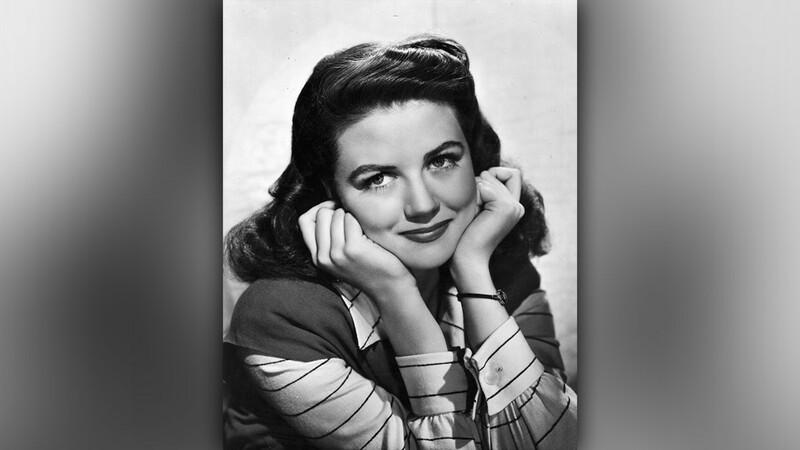 A pair of actor-magicians, Harry Anderson, 65, and Ricky Jay, 72, are gone, along with Reg ECathey, 59, of "The Wire" and "House of Cards"; Mark Salling, a suicide at 35, was a troubled star of "Glee"; musical-comedy star of the 1940s Nanette Fabray, 97; and for those old enough to remember, one of the original Mouseketeers from 1955, Doreen Tracey, 74, (or as she would proclaim, “Doreen!!”). Also Sondra Locke, 74, who co-starred in six Clint Eastwood films; and TV kid show host Chuck McCann, 84, the “Hi guy” neighbor behind the bathroom mirror in Right Guard commercials. A trio of iconoclastic directors Bernardo Bertolucci, 77 ("Last Tango in Paris"), Nicolas Roeg, 90 ("The Man Who Fell to Earth"), and Milos Forman, 86 ("One Flew Over the Cuckoo’s Nest" and "Amadeus"), left techniques and approaches still emulated by filmmakers today.Predictors of a scary digital future died as well: Douglas Rain, 90, who was the voice of the homicidal Hal the computer in 1968’s "2001: A Space Odyssey" (“I’m sorry Dave, I’m afraid I can’t do that"); and John Perry Barlow, 70, a lyricist for the "Grateful Dead" who fought for an unfettered Internet with the Electronic Frontier Federation. 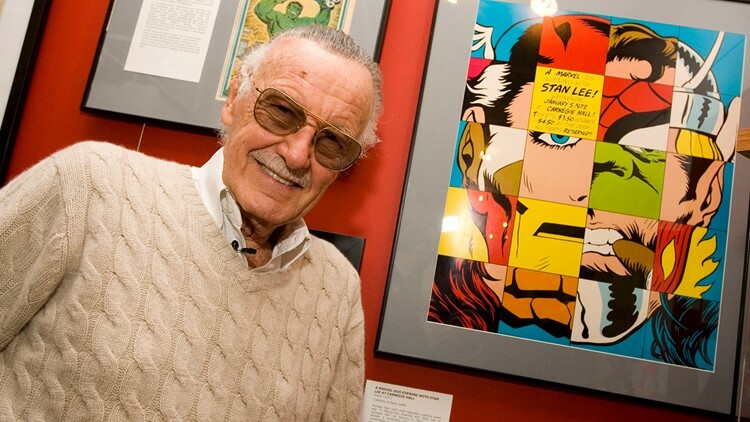 The world of fantasy lost Marvel Comics’ Stan Lee, 95, whose creative achievement rivals Walt Disney in impact (just check out the images on kids’ T-shirts and backpacks these days). Working with a bullpen of artists, including the late Jack Kirby and Steve Ditko, 90, who died in June, Lee co-created Spider-Man, the Hulk, Fantastic Four, Iron Man and the Avengers, and appeared in cameos in at least 37 movies featuring Marvel characters, some not yet released. Fans of one of television’s wackiest characters, Spongebob Squarepants, were shocked to hear that creator Stephen Hillenburg died from ALS at the age of 57. Also gone: cartoonist Mort Walker, 90, who created long-running comic strips Beetle Bailey and Hi & Lois (In the Didja Know Dept., Lois is Beetle’s sister). Among edgier artists were style icon Dolores O’Riordan, 46, of The Cranberries; Pete Shelley, 63, of early punk band The Buzzcocks; rapper Mac Miller, 26, a drug overdose victim and Grammy nominee; and rapper XXXTentacion, 20, who won several music awards after he was shot dead when he was robbed in Florida. Media, literature and journalism lost conservative commentator Charles Krauthammer, 68; world food explorer Anthony Bourdain, yet another suicide at 61; chronicler of the rich and famous Robin Leach, 76; America’s most popular playwright ("The Odd Couple" is just one of his comedies) and Pulitzer winner Neil Simon, 91; Pulitzer-winning writer of angst and loss Philip Roth, 85; science fiction’s Ursula K. Le Guin, 88, and rebel Harlan Ellison, 84, so angry about digital thievery that he insisted his name be trademarked. Tom Wolfe, 88, whose “New Journalism” stretched from acid tests to Wall Street, gave NASA a human face when he profiled the original seven astronauts in "The Right Stuff." It should be noted that two more humans who walked on the moon, Alan Bean, 86, and John Young, 87, died this year. Only four moonwalkers remain. Record breakers and champions included Roger Bannister, 88, who in 1954 was the first runner to break the four-minute mile (3 minutes, 59.4 seconds}; seven-time NBA champion Frank Ramsey, 86, of the Boston Celtics dynasty; 38-time LPGA golf champion Carol Mann, 77; Maria Bueno, 78, who won 19 grand slam tennis championships, including three Wimbledons and four U.S. Opens; Green Bay Packer Jim Taylor, 83, winner of the first Super Bowl; and Chicago Blackhawks Stanley Cup champion Stan Mikita, 78, one of the first NHL players to wear a helmet after a puck sheared off part of his ear in 1967. 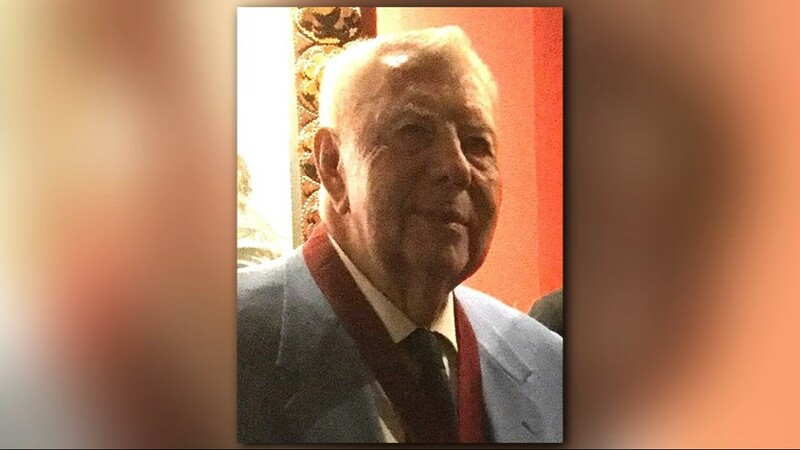 Also Hal Greer, 81, a guard for the 1967 NBA champion Philadelphia 76ers; and World Series winners Bruce Kison, 68 (twice with the Pittsburgh Pirates), Red Schoendienst, 95 (five times with the St. Louis Cardinals) and Wally Moon, 87 (three times with the Los Angeles Dodgers). 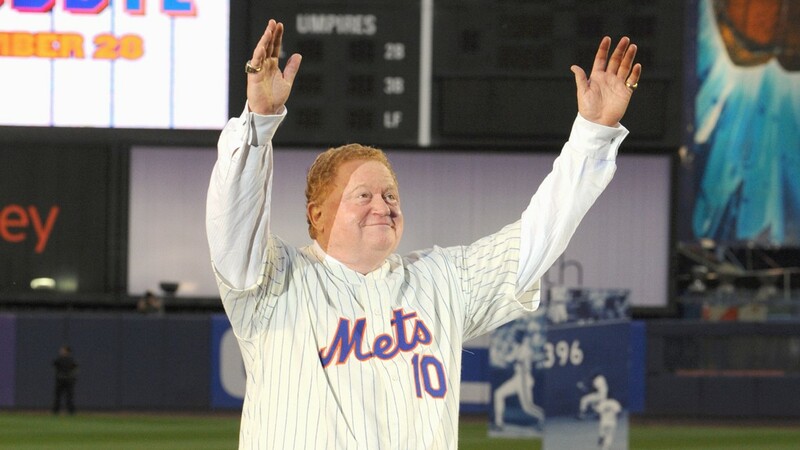 New York Mets fans won’t forget Rusty Staub, 73, a six-time All-Star. Tech billionaire Paul Allen, 65, co-founded Microsoft and also owned the NBA’s Portland Trailblazers and NFL’s Seattle Seahawks; Pulitzer winner Dave Anderson, 89, of The New York Times elevated sports writing to literature; and sportscaster Keith Jackson, 89, whose signature call of “Whoa, Nellie!” punctuated college football games for decades. 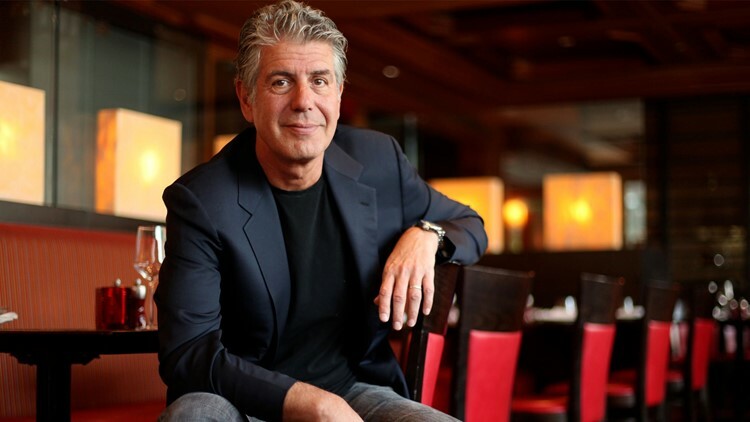 The high-profile suicides of Bourdain, which seemed at odds with his delight as he savored foods of the world for CNN, superstar handbag designer Kate Spade, 55, whose name alone could move fashion, and other celebrities, shocked observers while raising awareness about the disease. Suicide is the 10th-leading cause of death in the U.S.; there are almost 50,000 deaths a year. And we cannot forget the valiant souls lost in war zones overseas. Through Dec. 10 this year, there have been at least 29 deaths of U.S. servicemembers in the wars in Afghanistan, Syria and Iraq. Sadly, another category of death is becoming a new abnormal: mass shootings. There were more than 300 incidents in 2018, according to the Gun Violence Archive, including massacres at schools in Parkland, Fla., and Santa Fe, a Pittsburgh synagogue and a bar in Thousand Oaks, Calif. Lives ended or were changed without warning, reason or much of a political response by lawmakers. Others, however, know when the end is near and, hopefully, like Bush, Graham, Hawking and McCain, can be satisfied that their lives made a difference. Such was the case with commentator Krauthammer, a Pulitzer winner battling cancer for years, who told his readers of his fatal diagnosis in a Washington Post column just 13 days before his death.